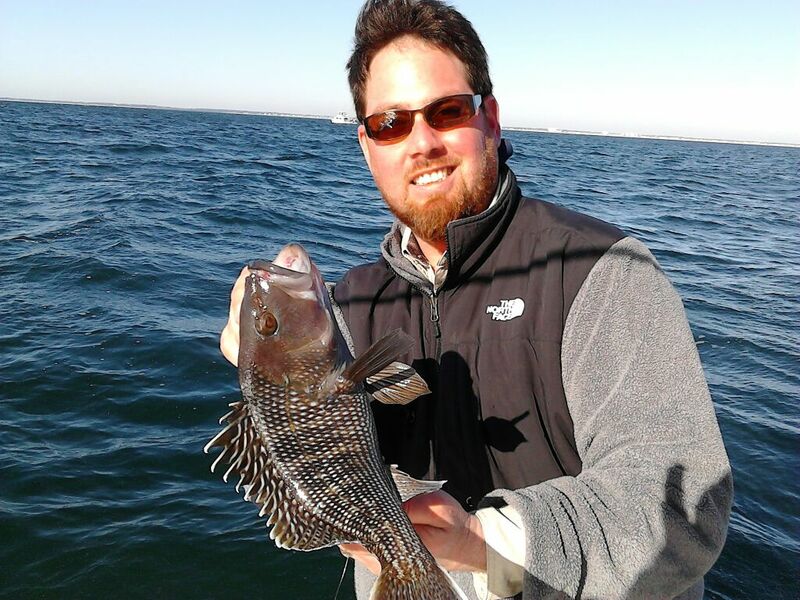 Today we decided fish for Black Seabass within 5 miles of the coast of Wrightsville Beach and Topsail Island. Black Seabass are not in season to keep in the winter months; however, are great fun on light tackle for some awesome Wintertime Catch and Release action! We left Masonboro Inlet out of Wrightsville Beach and headed north toward Topsail Island to bottom fish. My bait of choice this time of year is fresh and live shrimp on light tackle using Shimano Spheros (3000 series) reels and Finwick 7 foot graphite light tackle rods with circle hooks. Sure enough, we found LOTS of structure where the Black Seabass were holding. The Seabass were biting everything we dropped down and made for an exciting 3 hours of fishing near shore Topsail Island and Wrightsville Beach! Just a side note: This week Surf Fishing Topsail Island and Lea Island is producing good numbers of Red Drum! This entry was posted in Fishing Reports, ProFishNC News and tagged Carolina Beach, Seabass Fishing, Topsail Island, Wrightsville Beach on February 27, 2013 by admin.